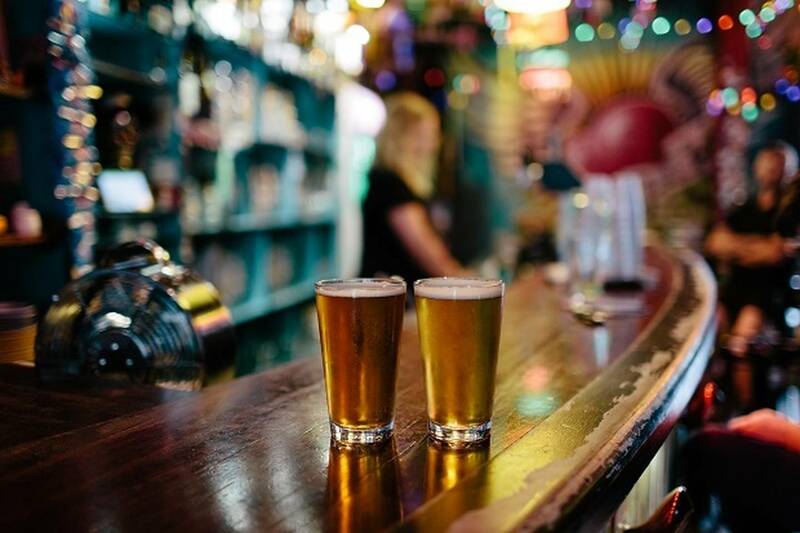 The Southern Hemisphere’s best beer city is our capital, writes Michael Donaldson. There are a handful of truly great beer cities. Some have a reputation based on one big thing — Dublin equals Guinness and … that’s it. Sure, there are lots of great pubs and it’s a great city to crawl through but it still tends to be Guinness, Guinness and more Guinness. Munich’s got that big beer festival and Plzen, in the Czech Republic, if you’re being cynical, is also just a one-trick town – Pilsner being a pretty good trick though. Truly beer-centric cities are the ones where a culture has evolved, where good breweries are thick on the ground and there are great pubs to match. There are classic cities such as Cologne, which, like Plzen, gave the world a beer style, Kolsch. And Brussels. Oh, what a place to drink beer. But Belgium is so small the whole country counts as a beer tourist spot. Spotted a trend yet? Yep, you have to cross the equator to get to any of these places. There are not many Southern Hemisphere cities renowned for beer. Melbourne’s sweet, especially when Good Beer Week is on in May. But the best beer city in the Southern Hemisphere? Wellington, of course. And if you think you know the Wellington beer scene, think again. Chances are by the time you finish this article, a new brewpub will have popped up somewhere in the city where the winds of change are blowing a gale. Wellington has been at the forefront of New Zealand’s beer revolution dating back to last century when Sunshine Brewery’s Gisborne Gold was the beer of alternative choice. Not too alternative now, but back then it denoted a culture shift that continued with high demand for Emerson’s Bookbinder at a time when the brewery was barely known north of the Waitaki River. Since then Wellingtonians have been curious and, shall we say, promiscuous in their beer appreciation and consumption. Six years ago the city created the Craft Beer Capital moniker and the website of the same name has a great interactive map of breweries, brewpubs and bars. The “pins” show a density of venues so high you almost don’t need a map — just start walking and you’re bound to find something. Though, having said that, some of the best places are tucked away in hard-to-find places. There are a few must-dos in Wellington and plenty of other should-dos. And the best part is that whatever you do, it can achieved by walking.You could, for instance, spend your day in the area around Leeds St. 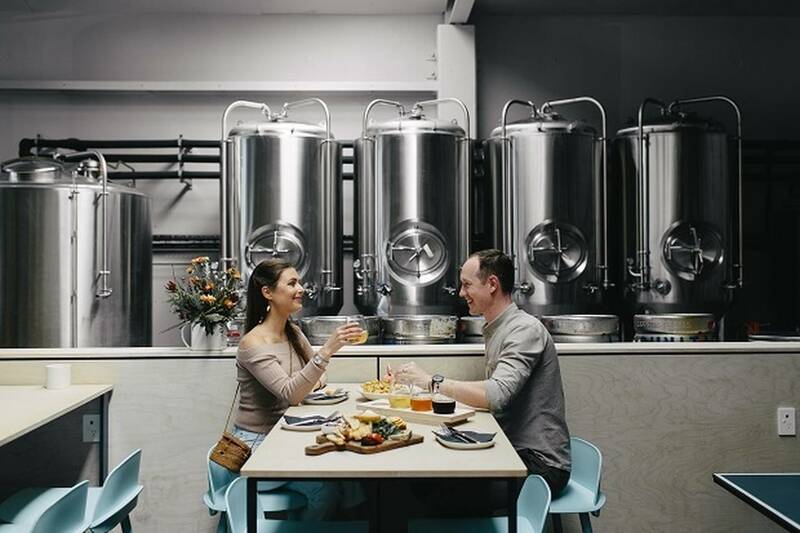 There you can find Golding’s Free Dive — a relaxed, convivial environment with a beer list to match — while across the lane is Fortune Favours, the first in a new wave of brewpubs that has a range of excellent beers produced on the premises, and great food. The easiest thing in the world to do would be to have lunch at Fortune Favours, cross to Golding’s and have a pre-dinner drink and then cross the lane again for dinner at Shepherd — some of the most outstanding food in the city with a beer list to match. That’s the other thing about Wellington, the restaurants (well, the good ones) are well across the idea that beer is a great food accompaniment. Among the best is Grill Meats Beer where a stunning array of carnivore-suited dishes are matched with an equally creative beer list. The Bresolin is another I’d highly recommend. If I was going to camp out at any Wellington pub and never leave, it would probably be LBQ, Little Beer Quarter, another tucked-away establishment that has such great ambience. It has that homely, real feel that you’d associate with bars in Ireland, and you can take this as gospel from someone married to an Irishwoman. 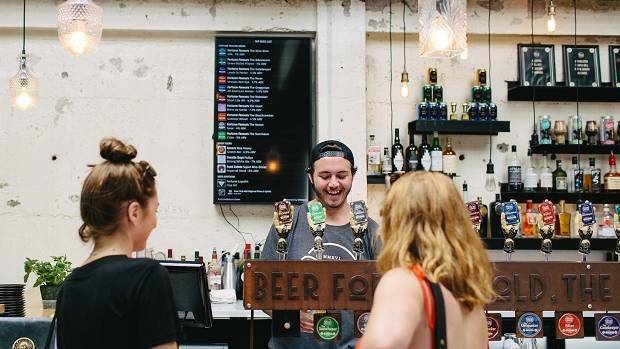 For sheer array of beer flavour, plant yourself down at Fork&Brewer, where Kelly Ryan (aka BrewJesus) single-handedly produces the most diverse and interesting collection of beer in New Zealand. Yeah, you heard right. Dozens of taps are filled with beer made by Ryan and he’s such an eclectic stylist there’s everything from exotic kettle-sours to IPA to classic English styles to Belgian funksters. Speaking of funk, Whistling Sisters is another new brewpub with a twist — it’s also a fermentery, doing everything from sauerkraut to fermented fries. You need to try them to understand but it’s like chips with vinegar on them, sorta. The beers are approachable yet interesting and the space sophisticated and inviting. Nearby Heyday is more down-to-earth and street-wise. It’s been going a little over a year and the beers are good. And in all this we haven’t walked more than a couple of blocks, so we’ve yet to mention Parrotdog’s extremely cool brewery-bar at Lyall Bay, the Upper Hutt posse of Panhead, Kereru and Boneface or all the other cool bars like Hashigo Zake, The Malthouse, Rogue & Vagabond, Husk … but keep walking you’ll find them. I haven’t mentioned the most well-known brewery in the city … and if you don’t know who “they” are you really do need to get to Wellington.